Is my website is down? There are times when your site doesn’t open for some reason and normally there’s a reason for it. Here are the simple steps to take before contacting your hosting provider. Keep in mind the more information you provider the faster your issues will be resolved. Can you open any other site on the Internet? In our browser open google.com and run a search. If that works your internet is working properly and you don’t need to contact your Internet Service Provider. Move on to the next step. Is DNS service for your site working properly? DNS service is responsible for translating domain and host names to IP addresses. It is a critical component of how your site is found on the Internet. If this command doesn’t return any information it can mean that either your ISP’s name servers are not working correctly or your web hosting provider is having issues or your domain is not pointing to correct name servers. If other sites are opening fine for you contact your hosting provider otherwise, contact your ISP. Can you ping your site? Ping is like saying hello to a friend and expecting a hello back. If there’s no answer something is not right. You should see an immediate “Reply from” messages. If you are not seeing that your IP might be blocked by the firewall on the server or the data center. You can use DownForEveryoneOrJustMe service to see if it’s just you who can’t access your site and if it is, log in to your billing account and unblock your IP address or send the IP to your hosting provider (doing this from your billing account is much faster) so that they would unblock it for you. You can get your IP address by going to to our site and using the What is your IP address utility. 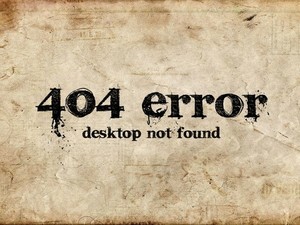 Does your site display an error message? Pay attention to any errors you see in your browser and copy them in their entirety to the email you will send to your hosting provider.